HRC implemented its Flash Flood Guidance System for the Public Authority for Civil Aviation, Directorate General of Meteorology (DGM), Sultanate of Oman. 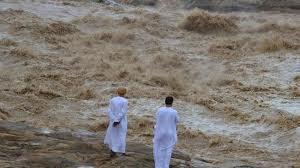 The System, known as the OMAN Flash Flood Guidance (OMANFFG) system is the same as implemented in other parts of the world with refinements added for DGM needs and requirements with a purpose to provide real-time informational guidance products pertaining to the threat of potential small-scale flash flooding throughout Oman. The system provides the necessary products to support the development of warnings for flash floods from weather-related events that can initiate flash floods (e.g., heavy rainfall, rainfall on saturated soils) and then to make a rapid evaluation of the potential for a flash flood at a location. The primary source for rainfall estimates used by the system are the new radars installed throughout the country. The system is installed on servers located at the Meteorological Department office in Muscat. In addition to the development and implementation of the OMANFFG System, the program includes training on the hydrometeorological aspects of flash flood detection, forecasting and warning; OMANFFG System operations and product use; and, system maintenance and administration. Training programs were held in Muscat and at the HRC offices in San Diego.